Canada’s rural places, and similar small places worldwide, are under great pressure. Faced with the challenges of modernity and globalization, many small communities have not been able to hold onto their roots, as traditional crafts and skills have been devalued or outsourced, and many people have been forced to make lives for themselves in cities. Fogo Islanders have also been grappling with the question of community resilience in this time of urbanization, industrialization, virtualization, and commodification. In particular, how do communities like Fogo Island establish their individual relevance in the global economy? Fogo Islanders have been able to hold on by adapting their fisheries and by collaborating through art and social business to find new ways with old things. The people of Fogo Island are deeply bound up in the nature and culture of their Island, and have continued to devise clever solutions to the wicked problems of modernity. They have worked with the ocean, with the land, and with one another, in order to continue to live, work, and thrive in one of Canada’s oldest European settled communities at the edge of the North American continent. 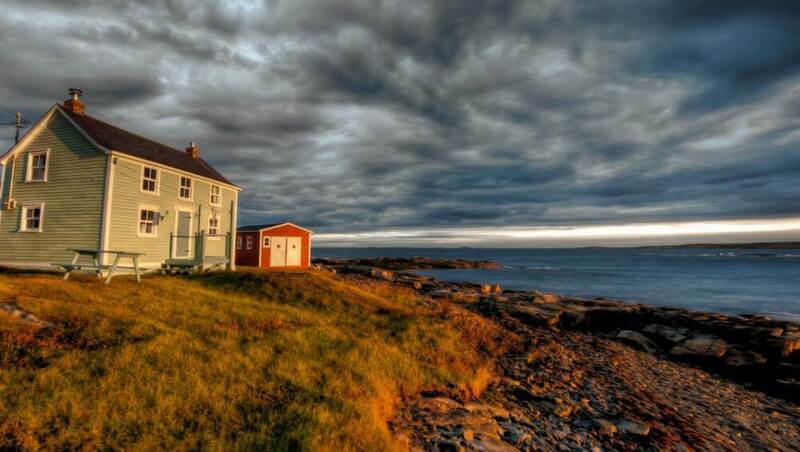 Newfoundland’s outport communities, including Fogo Island, offer specific and pure forms of hospitality and social richness. Fogo Island Inn was an opportunity to use social business and design as a means of fortifying culture and place, while at the same time giving Fogo Island relevance in the contemporary world and enhancing the economic prospects for the community. The Inn has helped to facilitate the continuing process of cultural and economic revitalization on Fogo Island. In addition to catalyzing a renaissance of traditional building techniques, the Inn and its associated projects have created substantial employment opportunities in a region previously devastated by the decline of the cod fishery, and Fogo Islanders have acquired new skills to sustain them for years to come. Of crucial significance is that the Inn follows the innovative and radical social business model. It is a community asset: 100% of operating surpluses are reinvested in the community of Fogo Island through Shorefast. As such, the Inn stands to promote sustainable economic prosperity on Fogo Island, a community that once stood on the brink of extinction.